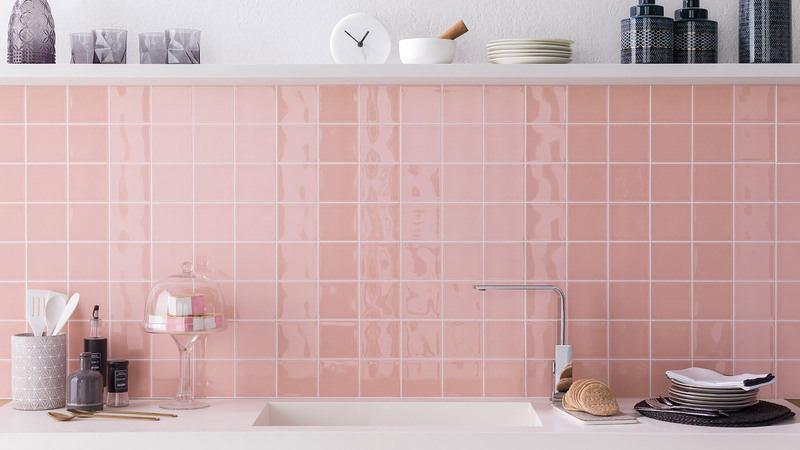 The humble backsplash can transform the contemporary kitchen, entirely. 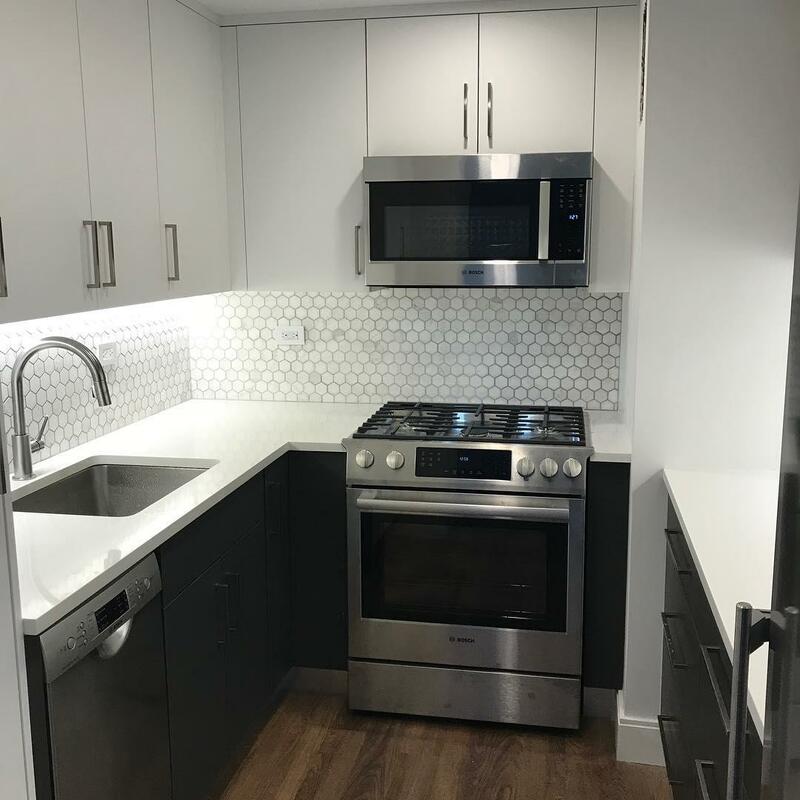 Generally located directly behind the sink or the kitchen hob areas the backsplash ensures that surrounding walls don’t get damaged during cooking and cleaning operations. Choosing the right material should be as much a practical consideration as a decorative one. 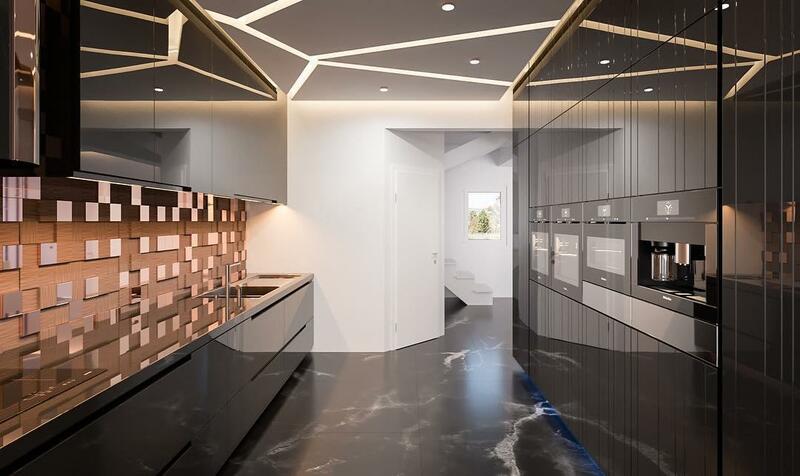 Ceramic, glass or metallic tiles are a popular choice, as are panels of hardwearing materials such as porcelain, marble or slate or indeed any of the other composite stone options on the market right now. They are easily cleaned with a quick wipe of a cloth without requiring complicated products. Product: Touch Navy by Antic Colonial. 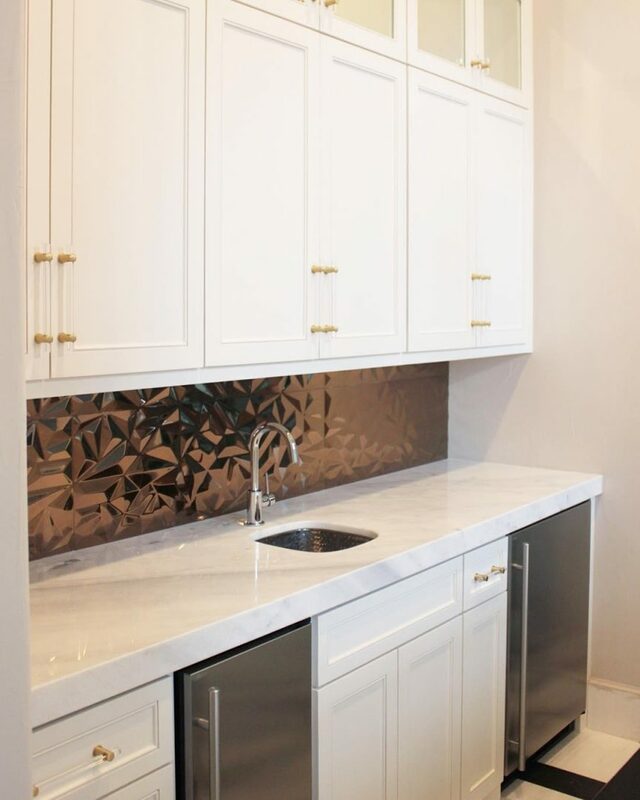 Backsplash ideas can be adventurous, given that cabinet doors are usually neutral and conservative by nature. 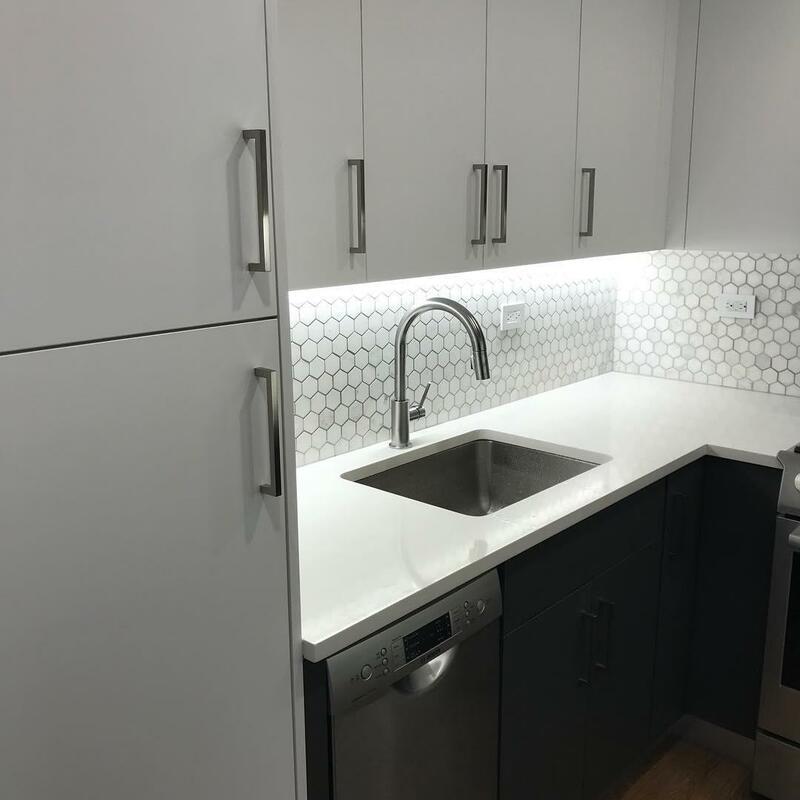 The ‘wow’ factor can be provided by the backsplash which is generally extended to cover the entire area between the underside of the overhead wall cabinets and the kitchen worktop surface. 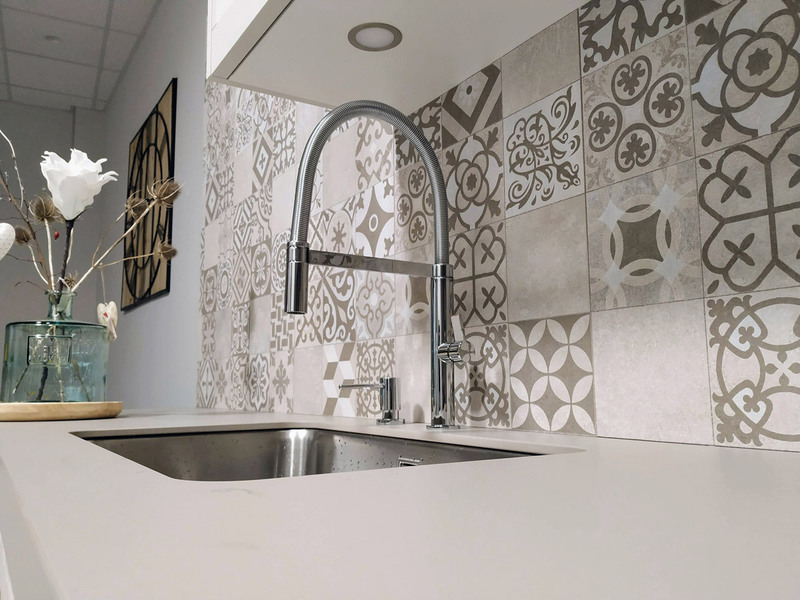 The beauty of using tiles in splash backs for kitchens is that the range of decorative possibilities available, from patterned to plain, elaborate geometrical patterns or simply staggered or stacked; the range of options is endless. Perhaps a single daring colour choice, or a patterned tile, or a complex geometrical pattern using elaborately shaped tiles. The choice of grouting can also make a huge difference. 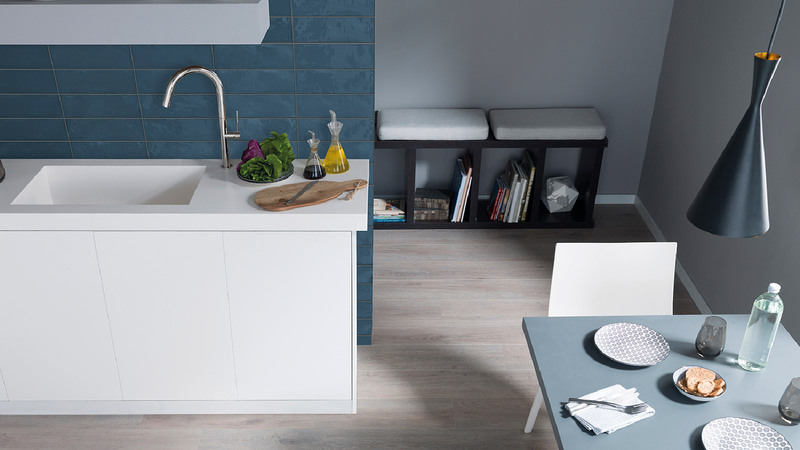 If a coloured option is combined with a white tile the effect can be striking. Product: White & Colors Sevilla by Porcelanosa. 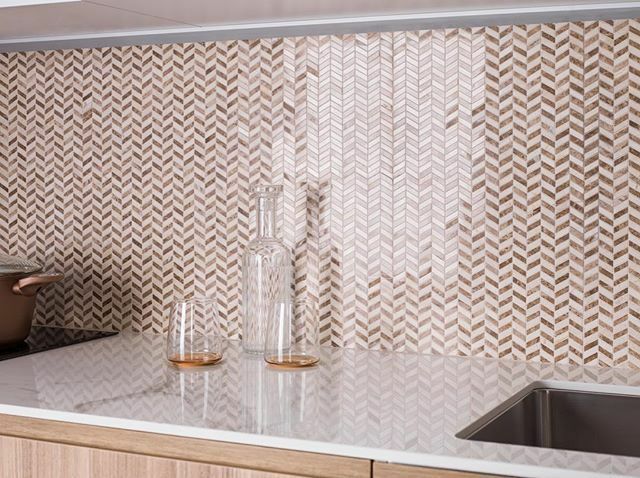 Other kitchen backsplash ideas include the use of panel materials. 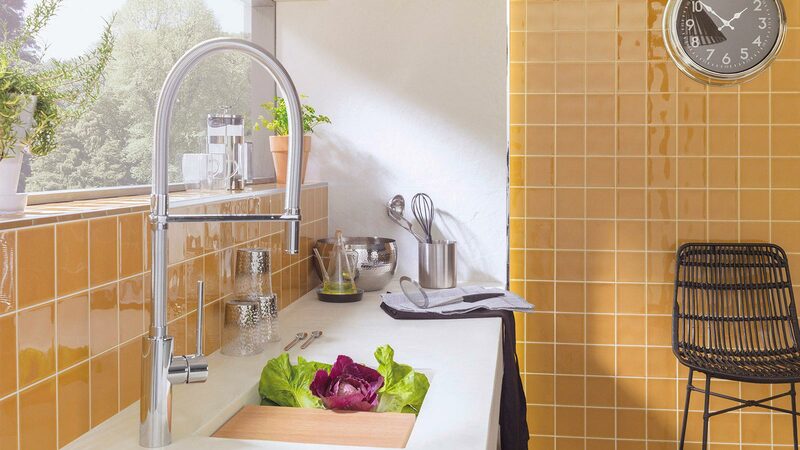 Panels, as opposed to tiles, have the advantage of requiring fewer joints, and therefore fewer opportunities for germs to gather. 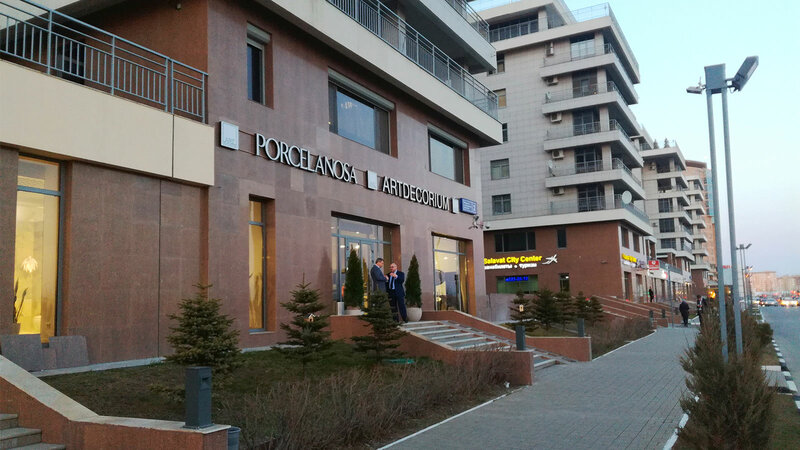 Materials such as marble, metal or glass are typical. These are easily wiped and the less porous the material the better regarding hygiene. 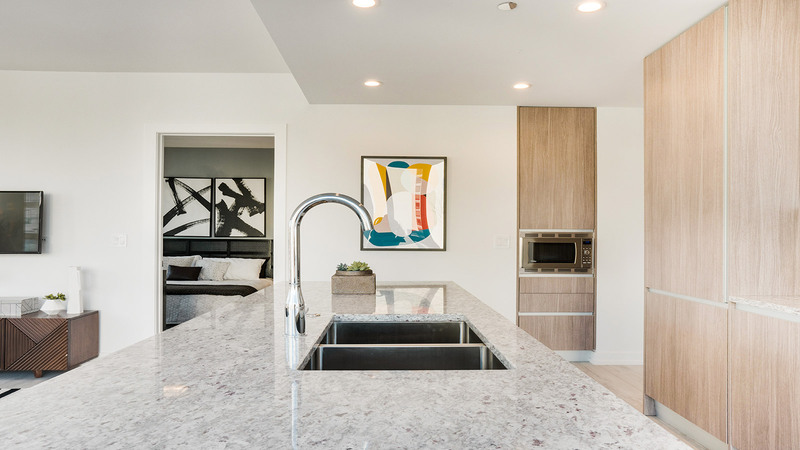 In the ideal kitchen layout the sink is located under a window with natural daylight and exterior views. That surface of wall between he sink and the underside of the window in these scenarios is normally tiled using a non porous material. 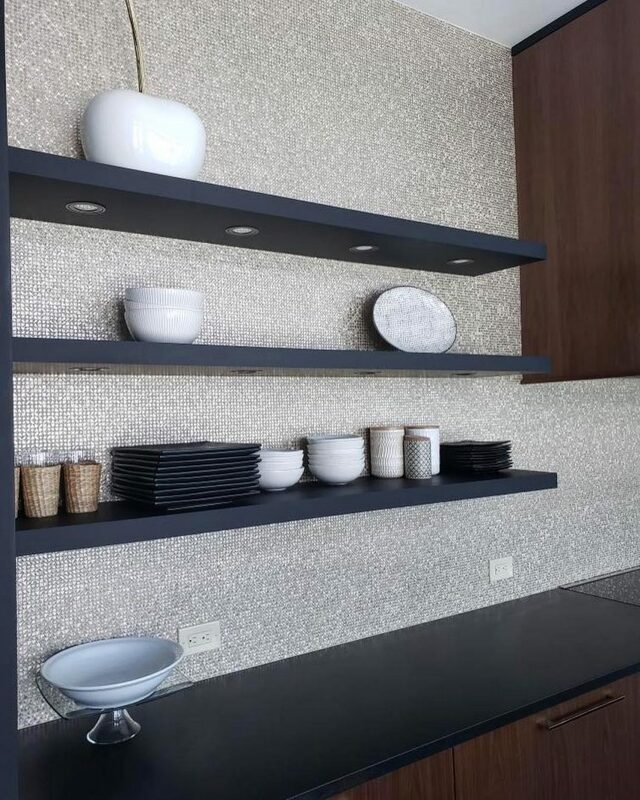 If continued to the other available wall surfaces the backsplash will have an integrating effect, bringing the overall design in a unified whole. 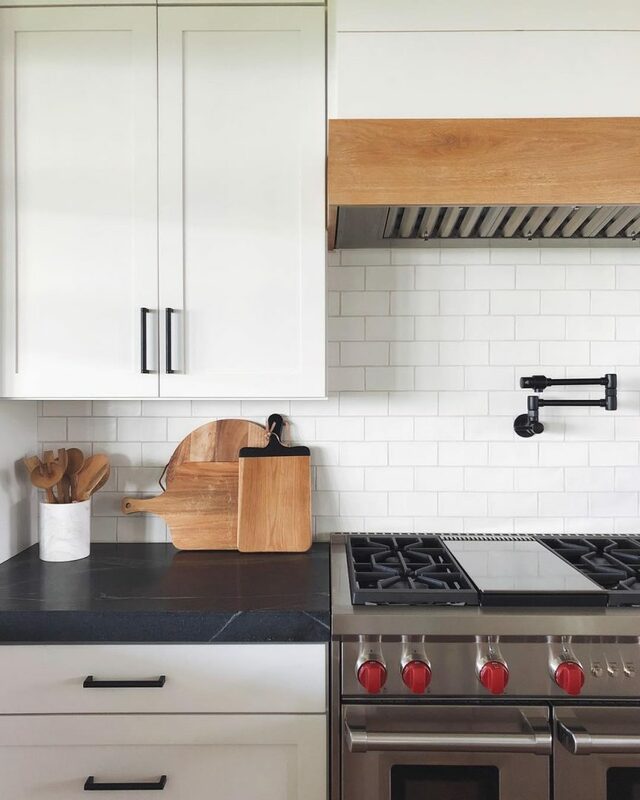 Resistance to heat is an important consideration for the backsplash next to the kitchen hob. Especially if the hob is gas powered. 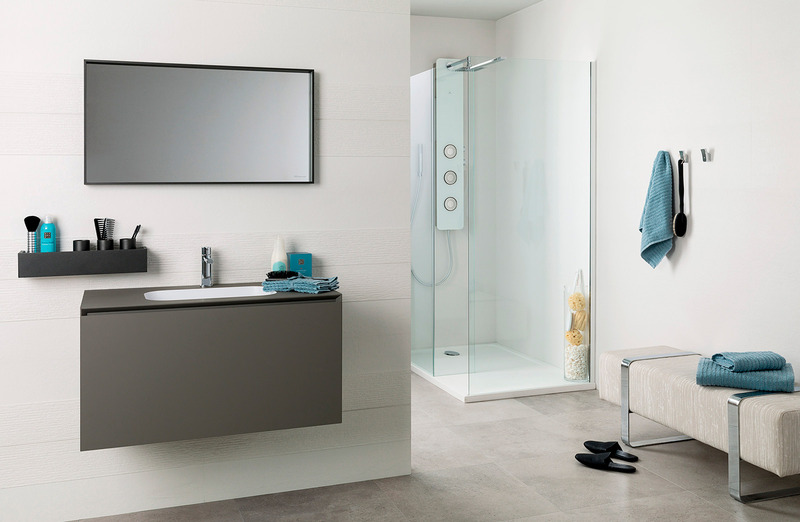 Whether using tiles or panels the important consideration is reflective of the heat. Metals like stainless steel make perfect choices. 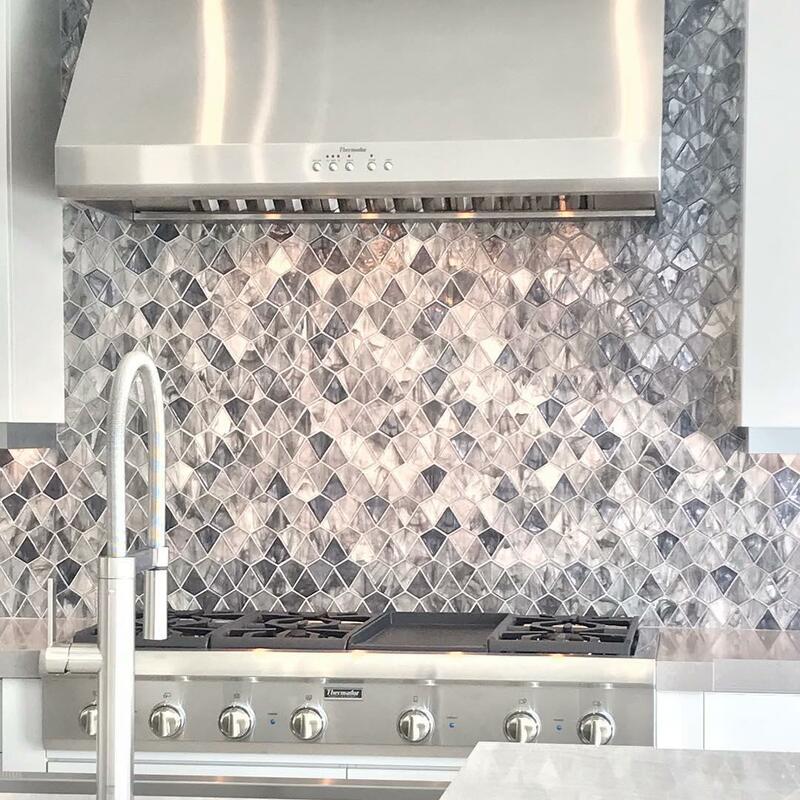 If lighting is integrated with the backsplash as with retro-illuminated glass the effect can also be daring and very contemporary. 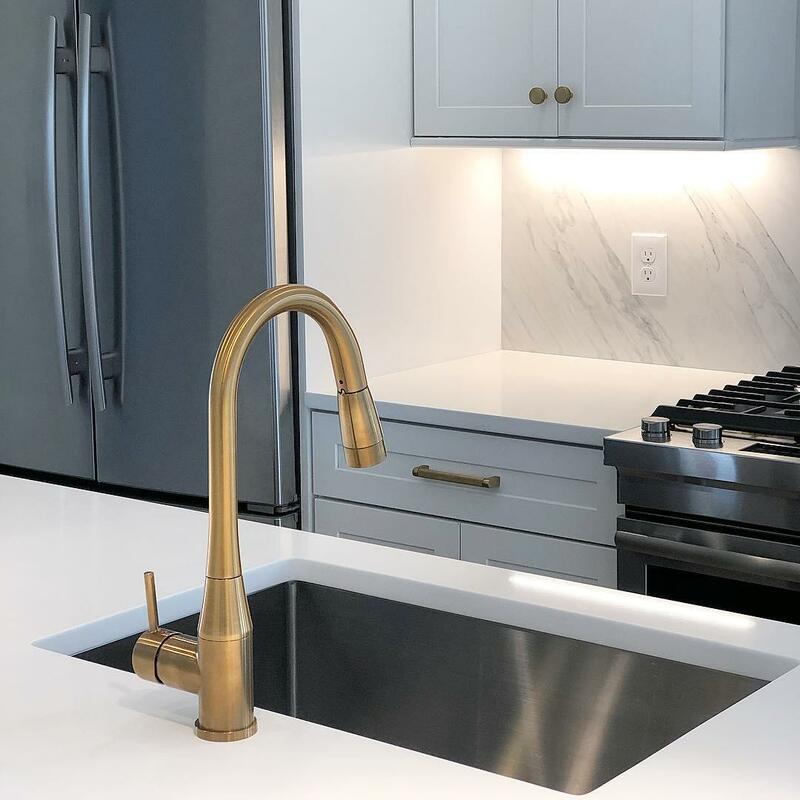 The kitchen worktop area generally requires task lighting anyway so by integrating it with backsplash both practical requirements come together. 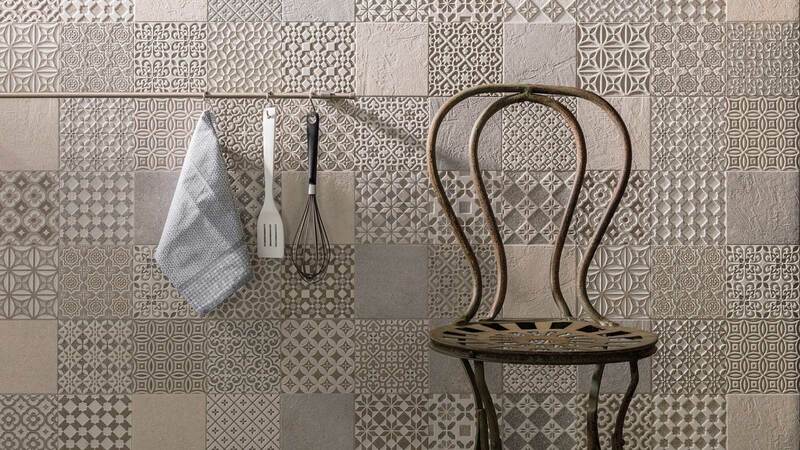 Product: Toscana Deco by Porcelanosa. 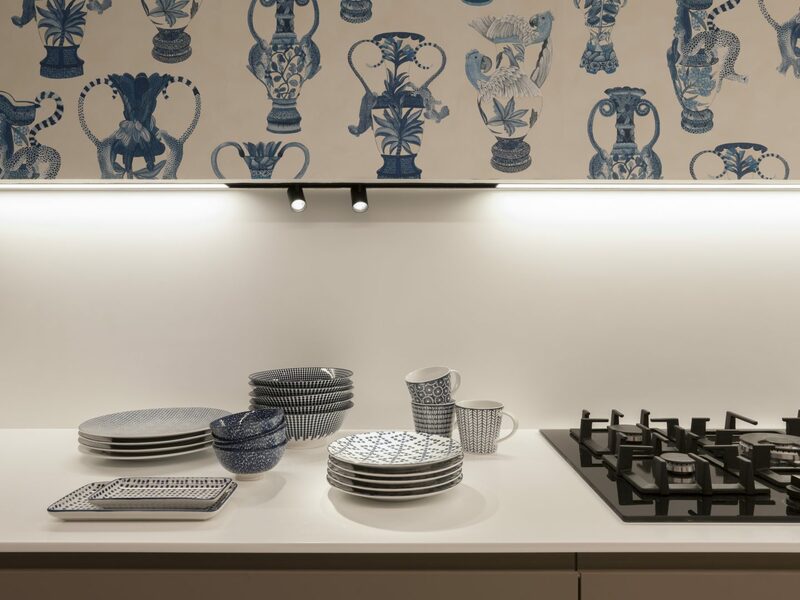 Another approach is to use a geometric pattern that incorporates metal or glass tiles that can pick up the kitchen lighting, either natural or artificial and reflect that back into the space. 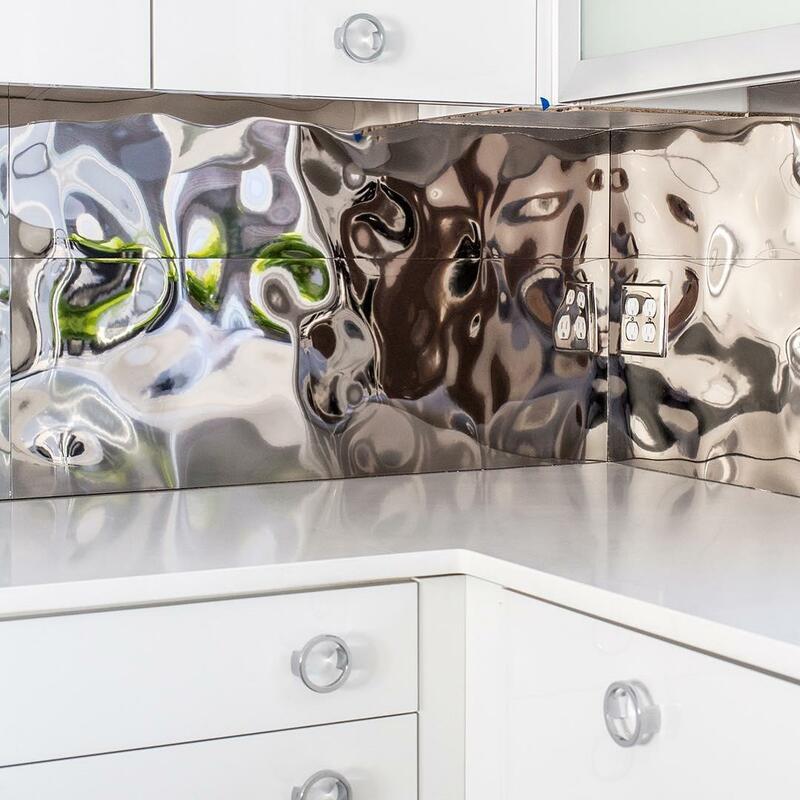 The overall effect can be impacting, subtle or dramatic depending on the amount of reflective tiles used. Product: Metal Bronze 3D Cubes by l’Antic Colonial.